HealthConnect Inc. is a privately-owned Canadian company with a 28-year track record for delivering Customer Care + Compliance support services in regulated industries. The company manages strategic consumer and patient care programs on behalf of pharmaceutical, medical device, nutritional and animal health companies. Programs have been designed for health care professionals, patients, consumers and the pharmaceutical industry since 1991. 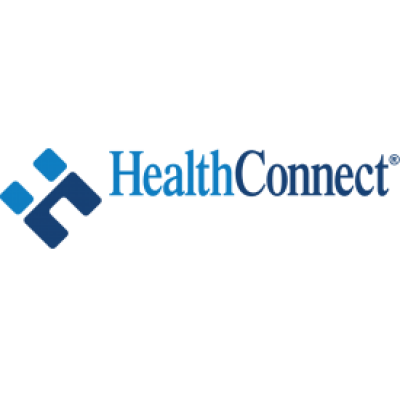 HealthConnect delivers comprehensive services through our multi-access contact center and fulfillment operations. These include: programs for customer care contact, information and product distribution; patient and caregiver support programs; medical information support; sample and order fulfillment. In addition, the company provides non-traditional pharmacy services, as well as customized compounding through HealthConnect Pharmacy. Reporting to the HIC Team Manager, the Health Information Consultant (HIC) is responsible for providing telephone counselling to consumers and Health Professionals on behalf of HealthConnect clients. Providing information and telephone counselling to consumers and Health Care Professionals through education and supporting client programs, clinical trials as well as complaint and adverse event reporting. This relates to prescription and over the counter medication. Be able to follow standard operating procedures. This will provide you with all the information you need to respond to inquiries and support the consumers and Health Care Professionals. Make outbound calls as needed to respond to consumers and Health Care Professionals who have left voice mail messages or requests for additional information. Ensure data entry is completed in a timely and proficient manner within the provided technology and databases. Understand processes, program mandates and recognize opportunities for improved customer service. Your ideas are important! Maintain and protect caller confidentiality. Meeting and exceeding Key Performance Indicators and standards of excellence as established for this role. Teamplayer - wanting to support, encourage and learn from your peers. Ability to learn technology and accurately enter data into these systems with attention to detail. Ability to ask questions in a way that gathers the necessary data from the client. Experience within the Healthcare/Pharmaceutical field is a definite asset and will help in your learning curve. Self-motivated and loves problem-solving in the interest to best serve the client. HealthConnect provides a competitive salary and benefit package. There is a rotational schedule (from 9am to 9pm) from Monday to Friday with no weekend shifts unless some overtime is required. If you are interested in a challenging and rewarding position within HealthConnect, please send your resume along so we can get to know you better. HealthConnect manages consumer and patient care programs on behalf of pharmaceutical, medical device, nutritional and animal health companies, as well as support groups and other health-related organizations. We are an outsource partner that can help our clients care for their customers, patients, caregivers, consumers, healthcare professionals, with a comprehensive range of solutions.